The winners will be attending the ASCA LDI (Leadership Development Institute) and Conference. The role of a School Counselor has evolved and changed greatly since I was in high school. Because of that, school counselors need to share with all stakeholders so that they fully understand our role. ASCA states that, “To promote advocacy, counselors need to speak up, reach out, and always use data”. We need to be proud of what we do. ● Be present and available at school functions. ● Create Google Classrooms for students and give access to parents so that they can see strategies and lessons being taught to students. If we don’t inform and include parents, administration and the community of the academic, personal/social and career programs that we do, they will not see the importance of our program, which will ultimately affect the effectiveness of it all. Be proud of what you do and be willing to share! 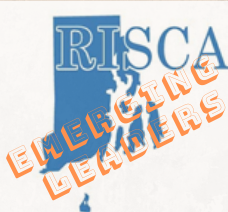 The mission of the Rhode Island School Counselor Association is to promote excellence in the profession of school counseling along with the development of all students. Rhode Island School Counselor Association is a 501(c)(3) non-profit organization. All rights reserved.